Malin Head is located on the Inishowen Peninsula, County Donegal. 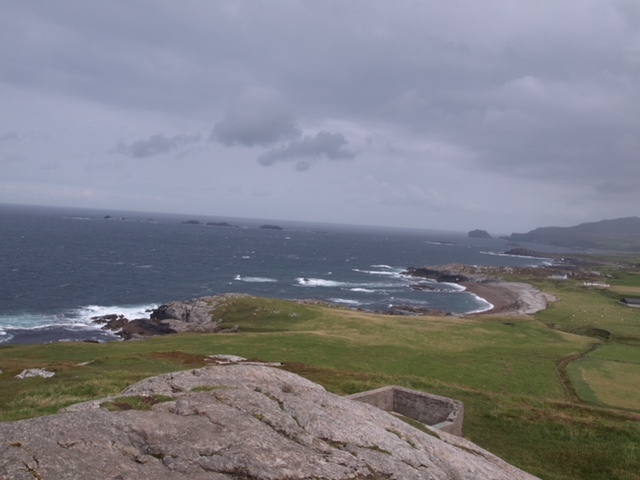 Ptolemy’s Geography (2nd century AD) described a point called Venniconium Promontorium, which was probably Malin Head. The Greek “ Wenniknion” or Latin “Venniconium” is associated with the people called Venniconii in Donegal or Vennicones in Caledonia (modern Scotland). The Venniconii were Pretanic and the rest of Ptolemy’s names in Ireland are also either Pretanic or Brittonic. There is no trace of any Gaelic name, which we would expect, since Gaelic had not crystallised as a distinct language much before Ptolemy’s time.